Head Coach Dominic Rice and his team from Sports Hive operate a full programme for juniors and adults of all ages and abilities with special prices on offer to Actonians Tennis Members. Everyone is welcome at our Actonians venue but you must be a Member to book and play on the tennis courts. Guest Memberships are available to play or participate in the programme but the rate is set higher than the Member rate. Pay & Play rates are available if you play with a Member as a guest as follows: 1 player £3, 2 players: £5, 3 players: £6 (Price is total per hour). We try to keep our rates extremely competitive and can boast that they are among the lowest in West London. Floodlight fees apply: £5 per hour per court. Benefits include: free social membership, 10% discount on drinks purchases at the bar, FREE t-shirt for Juniors, discount on courses, drop-in sessions, camps, entry to the Wimbledon ballot and, FREE court use all year around, and invitation to tennis social events. 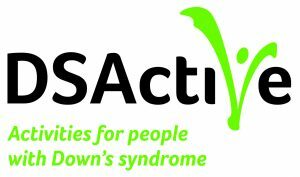 Actonians and Sports Hive are delighted to have partnered with DSActive and look forward to working with other charities, support groups, and organisations in the future. The 3 all-weather courts (2 floodlit) are artificial grass, allowing tennis to be played throughout the calendar year with a significant number of Members continuing to play during the winter. Actonians participate in Winter/Summer Leagues with junior and adult teams. If you have any enquiries, questions, or would like any information you can contact the club or Dominic directly on 07734295326 or dominic@sportshive.co.uk.